Is Tax Compliance in Singapore Puzzling You? You are here: Home / Singapore Company Incorporation / Is Tax Compliance in Singapore Puzzling You? As an aspiring entrepreneur in Singapore, you must have heard that one of the reasons why the country continues to be one of the most preferred business environments for start-ups and multinational hubs is its friendly tax rates, well-designed tax incentives, and commendable transparency in enforcing tax policies. Still, there is an array of tax stipulations to prepare for when you are setting up a company in Singapore. The process may not be uncomplicated so your planning should be tactical and on time so you won’t miss deadlines and get penalized. Even if you will outsource professionals for your tax reporting responsibilities, it is important that you understand the ins and outs of the system so you can track this side of your finances. Let’s start with the why—as in why study your tax obligations and why declare the right amount? Well, non-compliance can lead to hefty financial drawbacks. 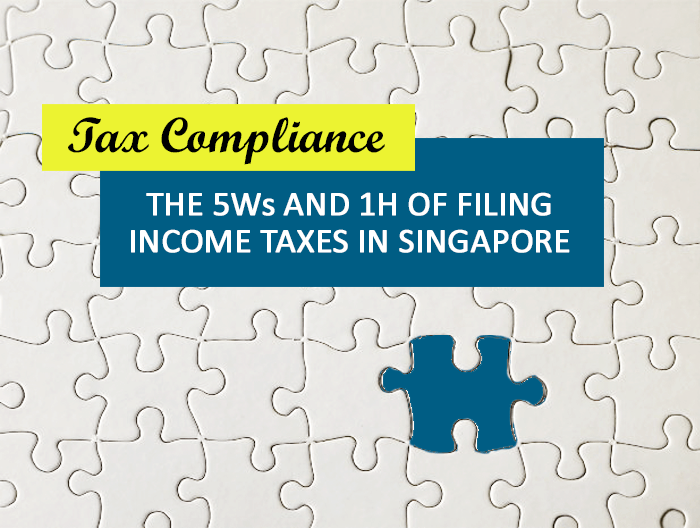 For example, under the Income Tax Act of Singapore, there are penalties for intentionally stating false information or eliminating any information necessary to the completion of requirements and failing to make a return. For Goods and Services Tax (GST), businesses should pay a month after the end of the accounting period covered by the GST return. Failure to comply means imposing a 5% penalty and subsequently a 2% additional penalty on the overdue tax. Hence, corporate taxpayers are expected to keep their accounts and bookkeeping records intact and accurate, including invoices and receipts for goods sold and services delivered by the company. Who is managing your business? What type of business do you have? If you are registering a foreign company in Singapore, will it be a representative office, a subsidiary company, or a branch office? Where is the functioning management located? Aside from determining your tax obligations, you can also receive tax benefits based on your company’s residence status, which may change every year. In Singapore, a company is considered a tax resident if it is exercising control and management of the company is exercised in the country. According to Inland Revenue Authority of Singapore (IRAS), control and management refer to decision-making on matters that affect company policy and strategy. Meanwhile, an individual is a tax resident if he or she is a Singapore citizen or Singapore Permanent Resident (SPR). Foreigners will be treated as tax residents if they stay or work in Singapore for 183 days in a calendar year. What are the pertinent filing requirements for corporate tax? • Financial Accounts – Your company should observe the Financial Reporting Standards of Singapore by the Accounting Standards Council (ASC) Singapore as they prepare the financial statements, such as Statement of Changes in Equity, Balance Sheet, Cash Flow Statement, Income Statement, and Notes to Accounts. It is highly encouraged that you engage accounting and bookkeeping experts to help you with the proper preparation and auditing of your accounts. • Estimated Chargeable Income (ECI) – Your company’s taxable income after deducting tax-allowable expenses for a Year of Assessment (YA). • Annual General Meeting – Every company is required to hold an annual general meeting of company shareholders to discuss the company’s financial status. • Annual Returns (ARs) (with ACRA) – An AR contains important information about the company, including company registration number, registered activities, information of shareholders, and financial statements. • Annual Tax Returns (with IRAS) – Ensure that all your statutory tax filings and other requirements for personal and corporate tax compliance are submitted by November 30. For more specific requirements, download IRAS’ Tax Guide for New Companies. • Companies must file its annual tax returns with IRAS by November 30 while e-filing’s deadline is December 30. • A company’s first AGM is conducted within 18 months after company incorporation in Singapore while the succeeding AGMs should be held with an interval that is no more than 15 months. • ECI is filed three months before the company’s financial year end (FYE). Where to file, inquire or get more information? • Accounting and Corporate Regulatory Authority (ACRA) – the government body in charge of regulating business entities and public accountants in Singapore. It has various departments and divisions, including eServices Department, Business Registry and Facilitation Department, Financial Information Department, and Compliance Department. 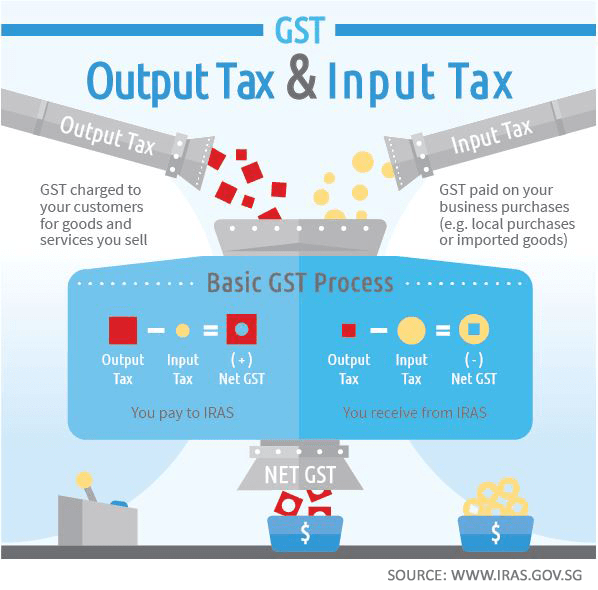 • IRAS – Singapore’s statutory board that is responsible for collecting and managing taxes that account for more than 70% of the government’s operating revenue and for representing Singapore in tax treaty negotiations. IRAS also leads the development of tax policies and guides the government on property valuation. • SPRING Singapore – formed under the Ministry of Trade and Industry (MTI) to assist Singapore businesses grow and promote the country’s products and services. The agency provides guidance in various areas, including financing, capability and management development, technology and innovation, and access to markets. • Singapore Customs – administers trade facilitation and revenue enforcement matters and executes customs and trade enforcement measures including those related to Free Trade Agreements and strategic goods. • Ministry of Manpower (MOM) – processes work permits and employment passes, addresses manpower issues, and regulates employment agencies. How do you accomplish all these requirements? Entrepreneurs are not expected to become accounting experts, but they should oversee and intervene if necessary for decisions on finances, especially on tax compliance. If income tax filing—meaning the legal duties and all the numbers involved–overwhelms you, the best strategy is to engage a professional service provider that offer income tax services. This will not only help you meet your tax obligations but also give you advice on how to get the best out of available tax arrangements. By outsourcing experts, you no longer have to exhaust resources for training your people, you can minimize or eradicate the common errors and the costs brought by trial and error, and you can focus on what matters most to your business. 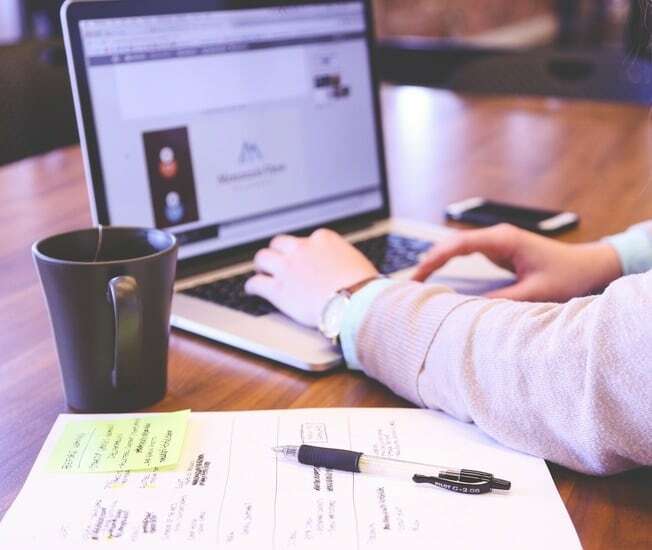 If you are still deciding whether to hire in-house or outsource, read: 11 Tips for Outsourcing Singapore Accounting & Bookkeeping. Lastly, tax compliance won’t have to be taxing at all. We ensure the accurate and timely filing of our clients’ taxes. Avoid late submissions and penalties by letting our tax team assist you!